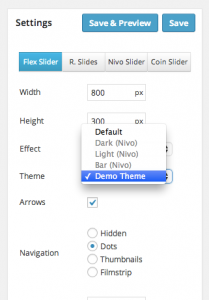 Meta Slider Pro includes a fully featured Theme Editor which can be used to change the visual aspects of your slideshow including the caption styling, arrow styling and bullet/navigation styling. 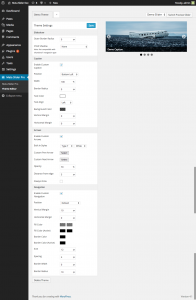 To access the Theme Editor, go to Meta Slider Pro > Theme Editor. There are 3 main sections: Caption, Arrows & Navigation. The styling for each section can be disabled, so if you want to keep the default arrows but customise the caption, you can do so. 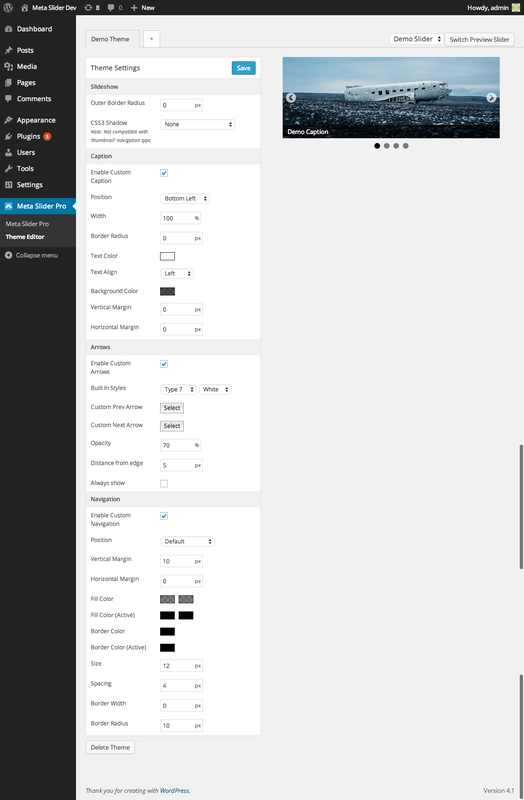 As you change the settings in the Theme Editor the preview slideshow will update automatically. Once you are happy with your new theme, save it and go back to the slideshow. Select your custom theme from the ‘Theme’ drop down and click ‘Save’ to apply it to your slideshow.